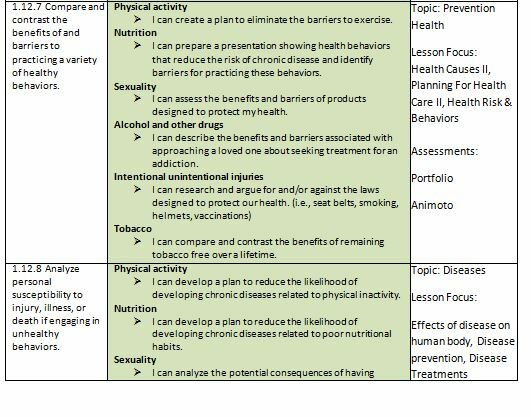 Essential Question: What basic concepts are related to health promotion and disease prevention? 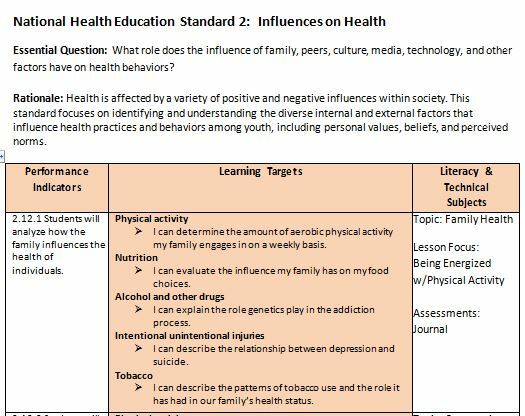 Rationale: The acquisition of basic health concepts and functional health knowledge provides a foundation for promoting health-enhancing behaviors among youth. 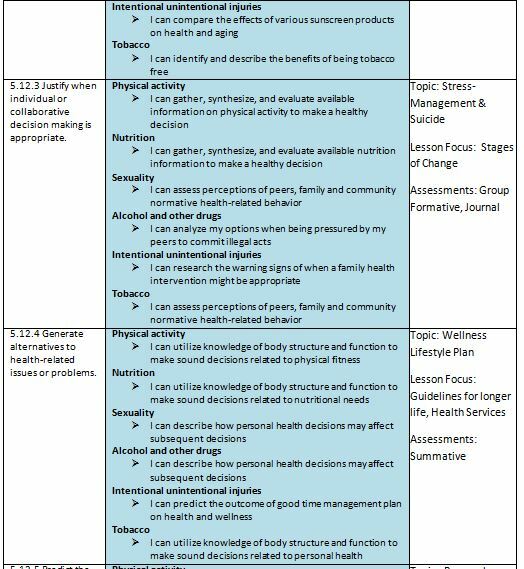 This standard includes essential concepts that are based on established health behavior theories and models. 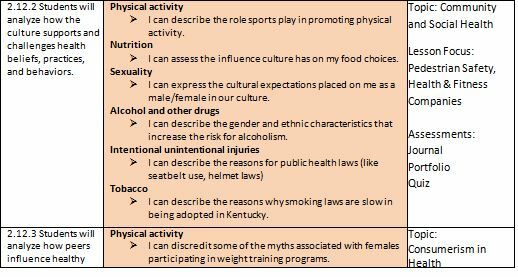 Concepts that focus on both health promotion and risk reduction are included in the performance indicators. Teacher: La Juan Lewis, gym. I am available before and after school (usually 7:30-7:40 am and 12:50-2:00 pm). Please contact me if you wish to take advantage of this extra time for studying or to sit down and have a conference. Textbooks: Prentice Hall Health & Lifetime Health, Friedman, Stine, Whalen. Holt, Rinehart and Winston, 2005. Additional material and supplemental resources will be provided via handouts and overheads as needed. 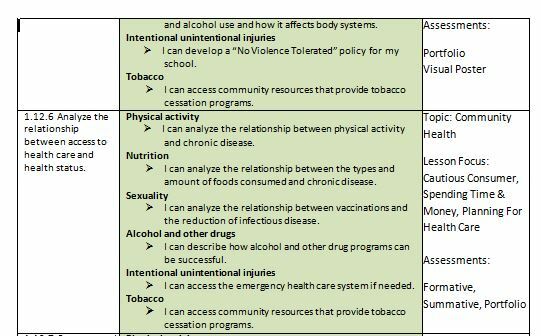 This course is designed to increase student awareness of their health; of what distinguishes healthy behavior from high-risk behavior, and the ways in which health interacts with the community and environment. This course will encourage the student, to adopt positive health related behavior through skill building that includes decision-making, role modeling, critical analysis, and goal setting. 1) Promote personal health and prevent disease. 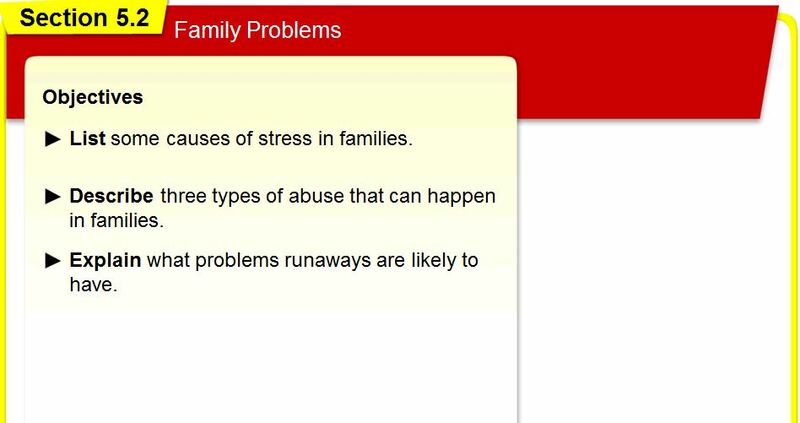 2) Practice positive mental and emotional skill building strategies, which will increase responsible behavior to family members and others. knowledge to public health efforts (community agencies) to prevent disease. 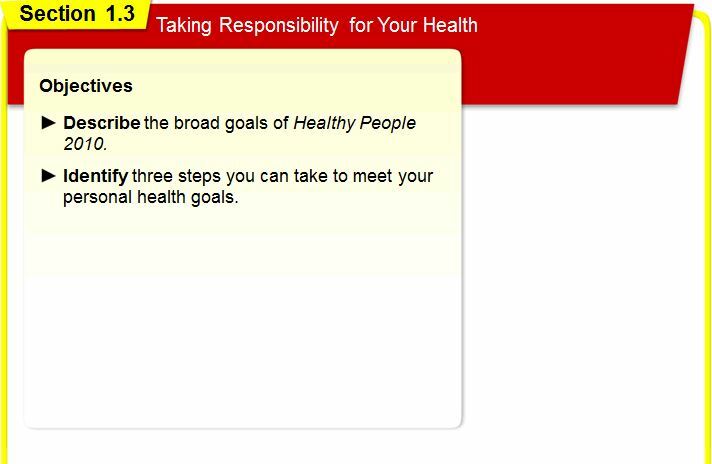 7) Assess individual nutritional habits and identify components of a balanced and healthy diet. Because there is a direct relationship between student attendance and success in school, each day is important for the attending student. Shawnee High School policy on attendance as stated in our student handbook will be followed and enforced. 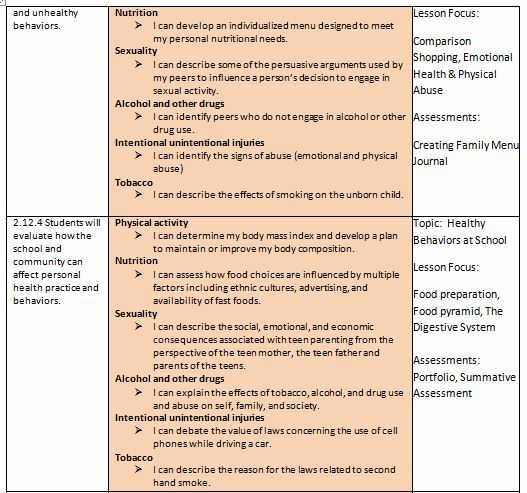 Class work: Daily class work will be assigned and turned in after completion of the lesson/activity. The student will be responsible in keeping a journal discussing his/her accomplishments in and out of class. It is the student’s responsibility to inform the instructor of any long-term absences. Weight: 35% of grade. Tests and Quizzes: After each section (see Course Content, below), quizzes and tests will be administered. Weight: 25% of grade. Participation: Weight: 25% of grade. Group Chapter Project: Periodically, class meetings unless specified by the teacher with Cardinal Success Program. Weight: 15% of grade. Make-up Work: Make-up work will be allowed for up to one week after the return of a student due to an absence. Other incidences will be decided by the discretion of the instructor. “Forgetting”, “losing” and the use of other similar excuses are not valid reasons for make-up. The student will be responsible for bringing their materials to class, all assignments, with quizzes and related tests completed in class.